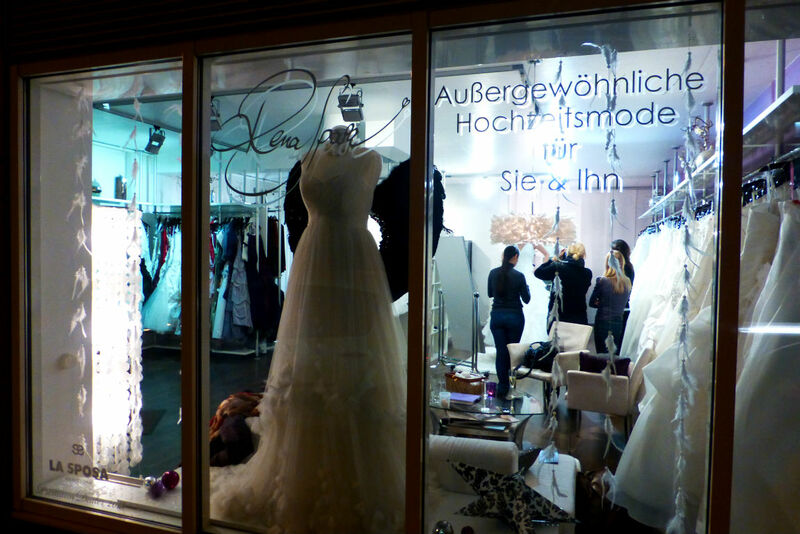 A friend of mine told me about this little boutique in Stuttgart-West, close to the S-Bahn station Feuersee, called Rena Sposa. 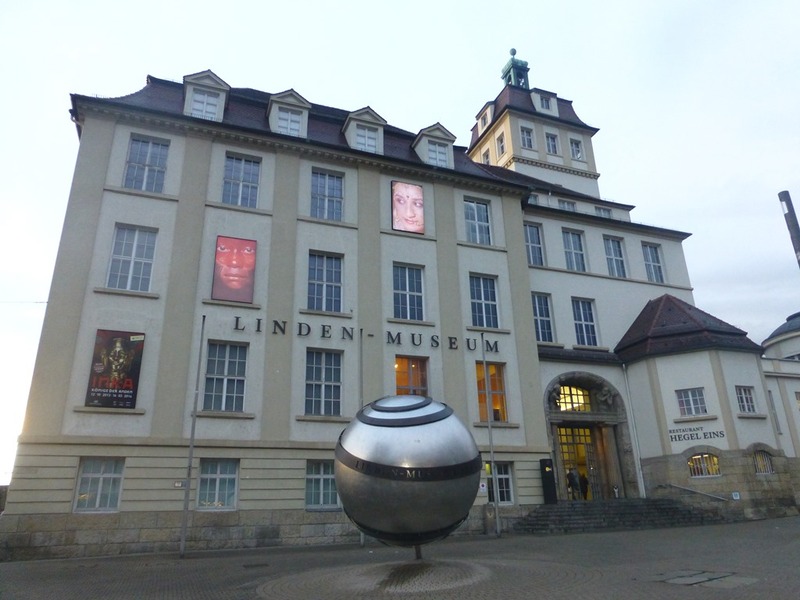 And when I visited the wedding fair “Wir heiraten” last year, they were there, too. So I made an appointment straight away and went a few weeks ago with my best girlfriends. What I noticed from the first moment when we entered the boutique was the welcoming atmosphere. 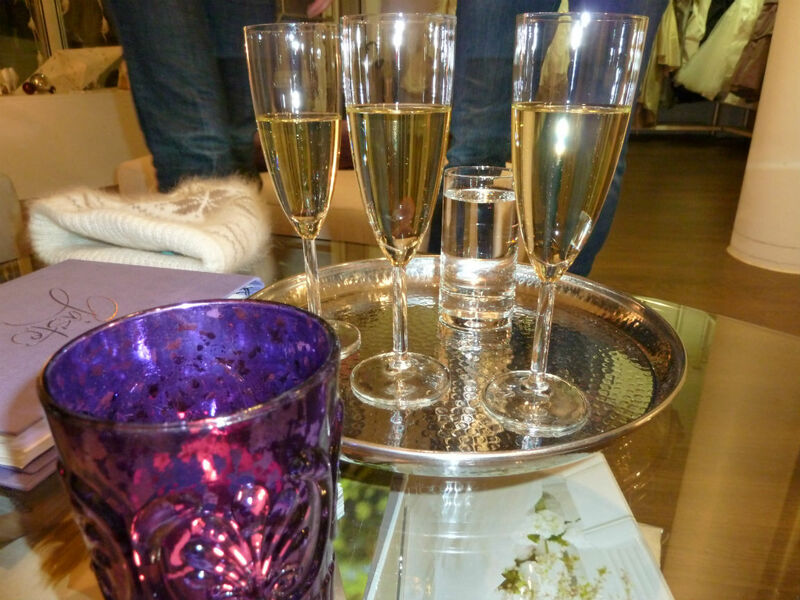 We were offered drinks straight away and went for sparkling wine (of course ;-). From this moment on, I felt very special, like I was in one of these movies about weddings. 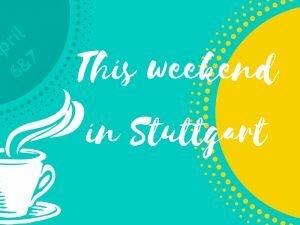 I’ve been to another wedding dress shop in Stuttgart as well, and the atmosphere was very different: no drinks, no privacy, everything focused on business. I personally want to enjoy every moment of the wedding preparations because they are all part of the big event. So I loved how they treated us at Rena Sposa’s. The shop assistant sat down with us and interviewed me about my expectations and the wedding and gave me some good advice about how to choose the right dress. 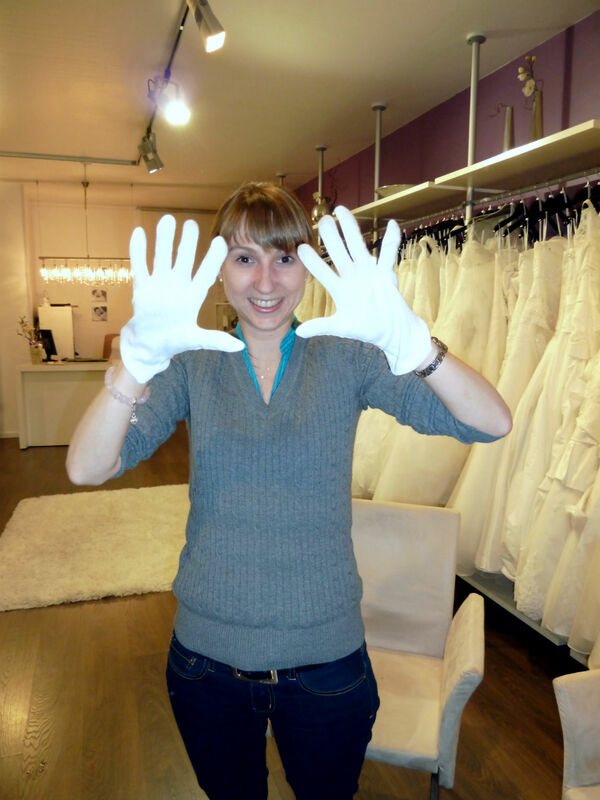 After this, my friends and I got white gloves and went down to business: having a look at the different dresses and selecting the ones I should try on. 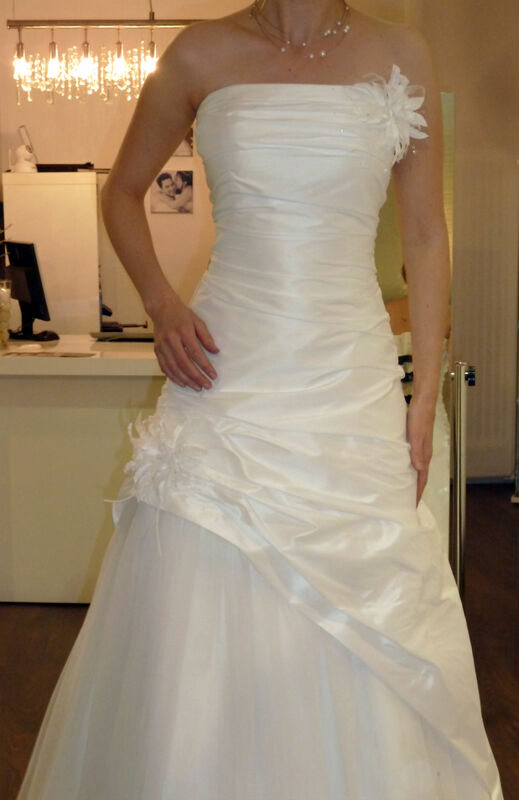 Even though Rena Sposa seems like a small boutique, they have a huge selection. And veeery pretty dresses! It was hard to choose but in the end we had picked eight dresses that we liked the most. The shop assistant helped me try on one after the other. 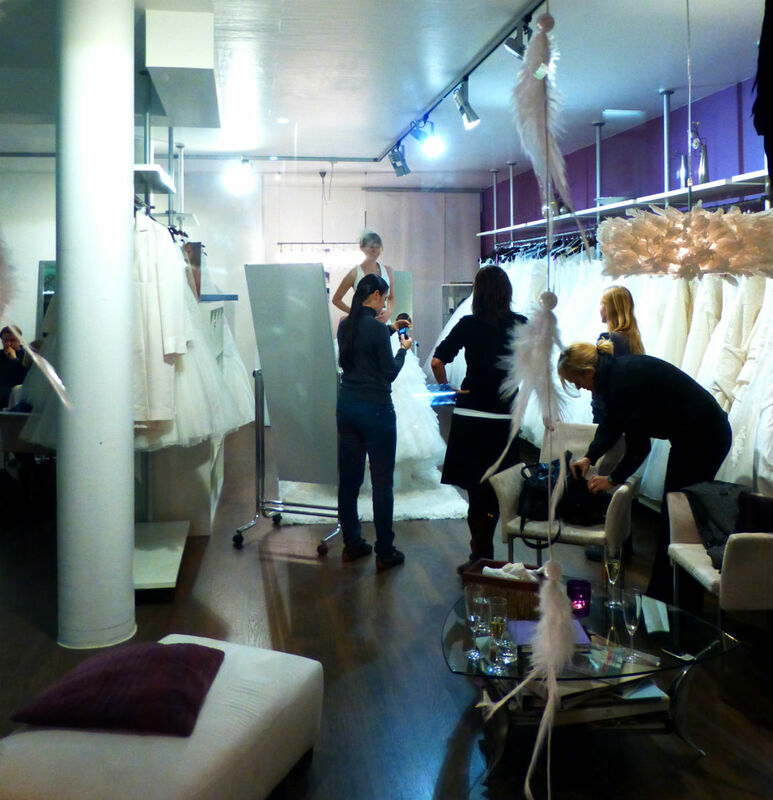 What I love about Rena Sposa: They allow you to take pictures of the dresses. A lot of other shops don’t. And it is very difficult to remember the details of ten different dresses a few days later. It was sooo hard to decide which one is THE ONE. I loved all of them. But at Rena Sposa’s, they don’t urge you into buying something. The assistant told me I should wait some days, imagine myself in the different dresses at the location and promised me I will come up with the right decision. And what can I say, she was right! 🙂 A few days later, I made a second appointment with Rena Sposa and took my mum with me. I had decided which dress will suit the location – and me 😉 – the best, but wanted to show it to my mother before I’m going to buy it. This time, the owner herself, Michaela Rena Meinert, was present and we had a nice chat. When I told her that I love the atmosphere, she and her assistants are offering, she felt honoured. Her philosophy is to make the selection of the dress a special event for the bride because that’s what she herself was looking for when she was buying her wedding dress a few years ago. 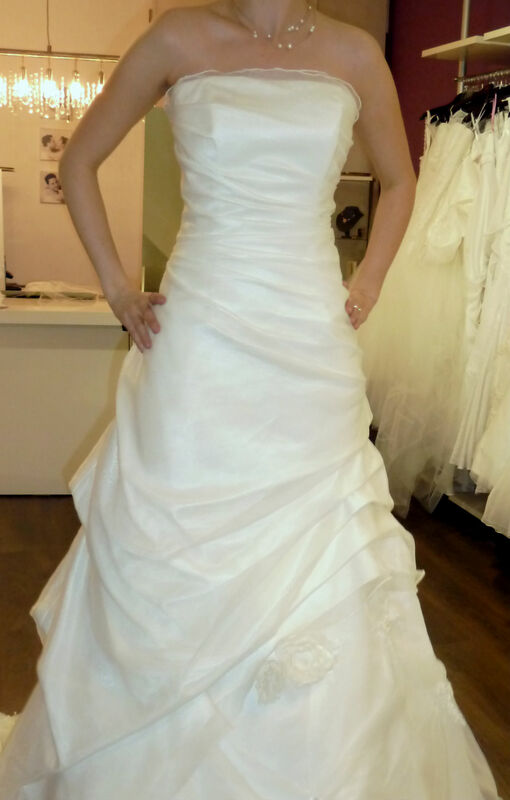 I am very happy that I found MY perfect wedding dress! 🙂 And that I found it in a shop where they made me feel like the queen of the day made it a very special event which I will always remember. It takes three months till my dress arrives. Then I will make another appointment and try it on with my jewelry and my shoes. And I’ll have to decide wether I need a jacket (maybe) and a bridal veil (most certainly :-)). 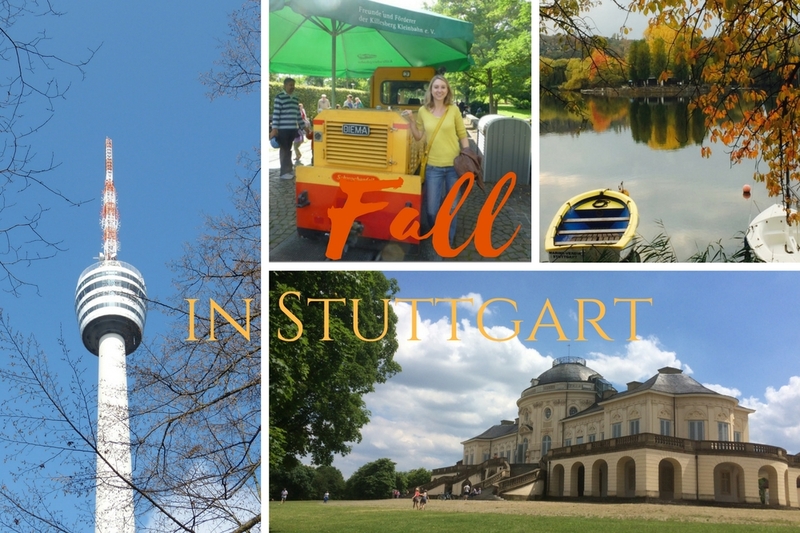 I am already looking forward to meeting Michaela and her lovely team again!